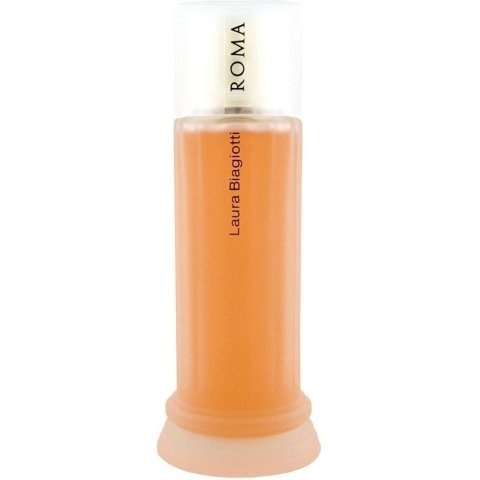 Roma (Eau de Toilette) is a perfume by Laura Biagiotti for women and was released in 1988. The scent is floral-oriental. It is being marketed by Angelini Beauty. Of course, I wore Roma when Roma were Roma. A fragrance buzz with a beguiling classic floriental start. It doesn't exist anymore in the current version, but: I also like the current top note very much, it has a delicate and slightly bitter individuality (currant) and clearly bergamot, beautiful and promising. Unfortunately, the best is already through, I think, because the fragrance is softly souped out into a pitiful caricature of a fragrance oriental, so dimmed and castrated that there is not much left except a warmlichblümerantvanilligen memory of the original. Look for the original if you want to know how a really beautiful Florientale used to smell. After warm days and warm summer nights it is now getting cooler in Rome. Something sentimental is in the air. But the hustle and bustle in the streets brings me to other thoughts. Thoughtfully I sit at the edge of the Trevi fountain. I watch the old Tritons try to tame the horses. It seems difficult for you to succeed. And somehow I don't even want them to succeed. A fragrance comes to my mind, silky soft, strong spicy and sweet at the same time. But also a bit cool. Bergamot, lily of the valley and a hint of jasmine lie gently on a heavy, tart base of patchouli and myrrh. Something minty rises into my nose and pierces it. But it could also be the Patchouli. I'm pretty sensitive about that. I don't like it very much. But the composition has something very fascinating. Attractive and repulsive at the same time. Like the arrival of autumn in the city. Soon, however, the smell becomes too pungent and cool for me. Too bad, already the base steps strongly into the foreground and expels everything silky gentle. There's still a little sweetness left. But the pungent bitter smell still haunts me for many hours. A very interesting fragrance, although I wouldn't wear it either. Without Patchouli he would get one more star from me. However, the body lotion contains less patchouli and more bergamot. I clearly prefer it. In the 30th anniversary of the creation of "Roma"by Laura Biagiotti I must write something about this great italian stylist recently dead and about this fragrance as immortal as the "Eternal city" . The magic of Roma is that it remained the same all through the years. Balsamic, particular, with a strong sillage but not heavy.At the first spray, a fresh mint note hits your nose but immediately the flowery heart makes the bouquet smoother and very feminin. The balsamic base notes remain on your skin for a few hours giving a sense of "ancient roman" perfume. A mix difficult to copy. Always pleasant as a breeze (the "ponentino" , the western wind blowing on Rome) this perfume is adapt to women of all ages . Surely a great classic by Laura Biagiotti. Thank you,unforgettable Laura.We'll never forget your style. Finally, after all this time, I've managed to test Laura Biagiotti's Roma. Amongst perfume enthusiasts, this is considered one of the classics. I hear a lot about it, and even more appealing is its relatively inexpensive price tag. First things first, Roma is unique. It is also very complex. 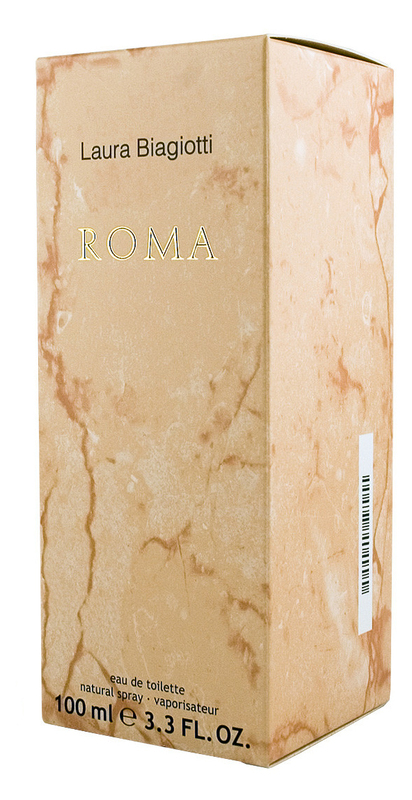 While it did get off to a rocky start, once settled, Roma is a fragrance I can imagine myself wearing quite often. In other words, I am very pleased. The opening was temperamental on my skin. The citrusy blend of pink grapefruit and bergamot, in addition to black currant and mint, smelt a little sweaty on my skin. It wasn't like the scent of bad body odour, but more like the way one smells after applying a sweet-scented deodorant and doing a tense workout at the gym. Honestly, I felt so disappointed and put off by the initial 'sweaty' opening, that I had little hopes of Roma improving. Much to my surprise, Roma transformed into a smooth, slightly musky and spicy scent, which was vastly different from what I had previously experienced. I find Roma to be perfectly balanced and well executed. It can sometimes be a little difficult to describe the way it smells, but I will try my very best. The pink grapefruit accord lingers, providing an element of juicy freshness throughout, while a musky blend of amber, oakmoss, patchouli and vanilla create a sense of warmth and sensuality. It may sound corny, but Roma, at least in my opinion, smells like a sophisticated Italian. The sillage is quite strong, followed by excellent longevity. I never see this fragrance in Australia, but I do hope it's still being sold overseas. The packaging could do with some updating, but other than that, the scent should remain unchanged. Roma is, when summed up the Italian way, bellissimo! Originally written: July 11, 2012. Let me be honest: I'm a bottlomaniac. I love flacons that are inventive, interesting, creative, beautiful or just feel great in my hand ... And let me continue - Roma by Biagiotti takes the price... or at least it is to find in my top 5. A well-designed bottle to me is a bottle you remember, that feels right in your hand, and that captures both the fragrance and the symbolic value of the scent and name. Roma has it all. I've been so lucky to have visited Rome and the spirit of the city is definitely in this bottle. Walking among the ruins of what once was The City on Earth craves a certain amount of respect and awe toward the founders of such a place. Roma sums it all up. The scent itself is a marvellous creation, starting out as a citrus-woody-spicy scent. I don't get any mint but the bergamot is lovely combined with the rose, which is actually from the heart notes. For several hours I can enjoy the changing mixture of the heart ingredients and when finally I hit the base (the longevity is more than 8 hours on my skin! ), it is just yet one more wonder of a well-composed scent, releasing amber, myrrh and vanilla in a wonderful combination. My husband bought this for me, the first perfume he has ever bought for me... He tells me that when he senses it in a room, he turns his head to look for me. That fact does not make me love it any less. When I first started using this scent it was a wonderful mix of roses, bergamot and something else I could never identify (Lemon??). After a while it started to change on my skin. I hate to say this about a perfume, but it started to smell like car tires that burned?! I think my chemistry and Roma don't get along. It's a shame, because on others it smells wonderful. Otto Respighi captured the spirit of Rome in the symphonic masterpiece Roman Trilogy (Pines of Rome, Festivals of Rome & Fountains of Rome). 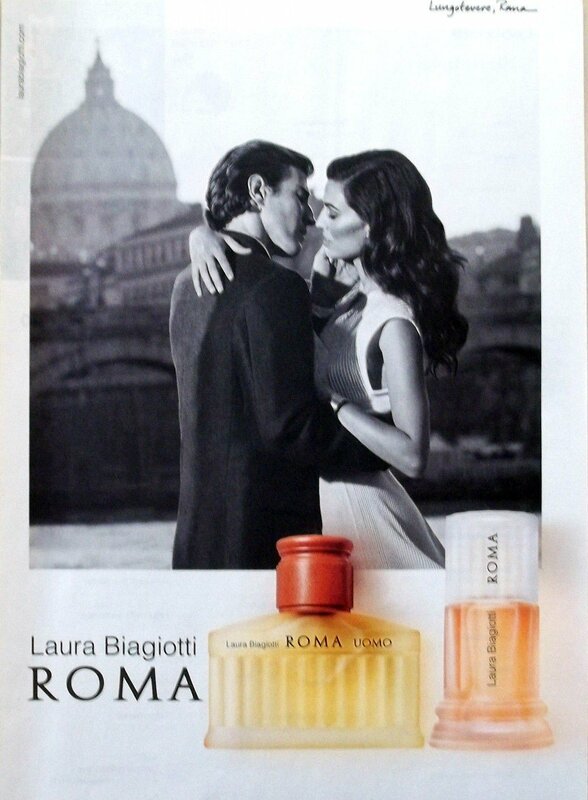 Laura Biagiotti captured the spirit of outdoor Rome in the fragrance masterpiece Roma. Roma's fresh opening is magnificent and takes my breath away: It's spicy & citrusy with a touch of fruit & green. Roma peels back her layers fairly quickly on me. Like Respighi, there is the Pines of Rome, which are never dominant but more like whiffs of pine in the breeze. Roma becomes a bit animalistic, musky but never overdone.The vanilla wafting in the background teases with a promise of sweet treats somewhere around the corner. A classic, timeless scent. Very elegant. Very Italian. Exceptionally well-blended and easy to wear. Surprisingly fresh & bright for an oriental, yet best for cooler weather. The only downside is that it's strength doesn't carry after 1-2 hours - it's still there but morphs into a skin scent on me (must be the vanilla). Regardless, Roma is a work of art. I like Roma best on warm fall days when the sun is golden and the leaves are about to turn. It's a perfect from-summer-to-fall transition fragrance. This is one of the better experience scents. Roma is a modern vanilla-oriental which every hobbyist must try.